Florida is an amazing state with a lot to offer. 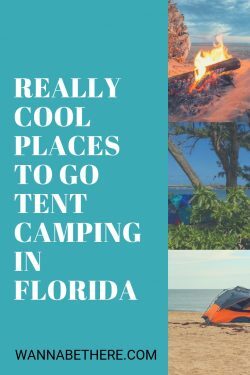 For those looking to be up close and personal with it’s diverse ecosystems and warm weather, tent camping in Florida may be in your future. Whether you want to pitch your tent on the beach, a key, the wetlands or someplace a little closer to civilization, Florida has a spot for you at a very affordable price. So dust off that sleeping mat, fill up your pack and get ready for an adventure. 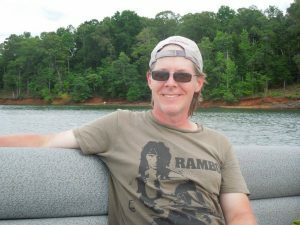 I’m taking you all around Florida to find the right campsite (or two) for you! I’m a National Park enthusiast and I know there are many others out there, so this one is for you. Florida has 3 National Parks, and no surprise, but they’re all completely different from one another. So let’s break them down. 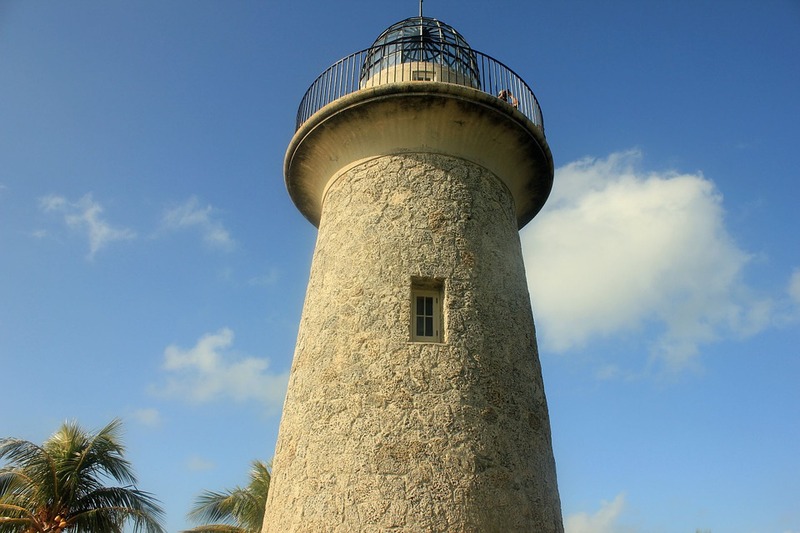 Biscayne National Park is super close to Miami, but it feels like you couldn’t be further away. This park is filled with waterways and islands that provide a unique camping experience. You can kayak during the day and then escape to either Boca Chica Key or Elliott Key for the night. Boca Chica is popular as it is very accessible, so if you’re looking to camp here make sure you reserve your site beforehand (this is a good practice no matter where you go!). 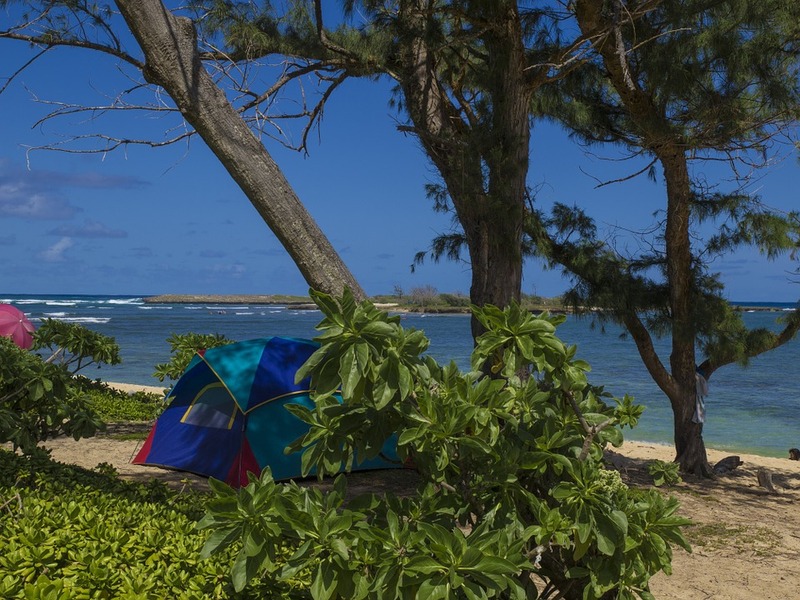 At Boca Chica there are a variety of campsites locations including waterside! For a little more adventure, hop on the Elliott Key powerboat to camp on the park’s largest island. Elliott key is first come first serve so make sure you claim your spot before exploring the tropical trails of the island. Dry Tortugas is only 100 square miles but it has a lot to offer across its seven islands. 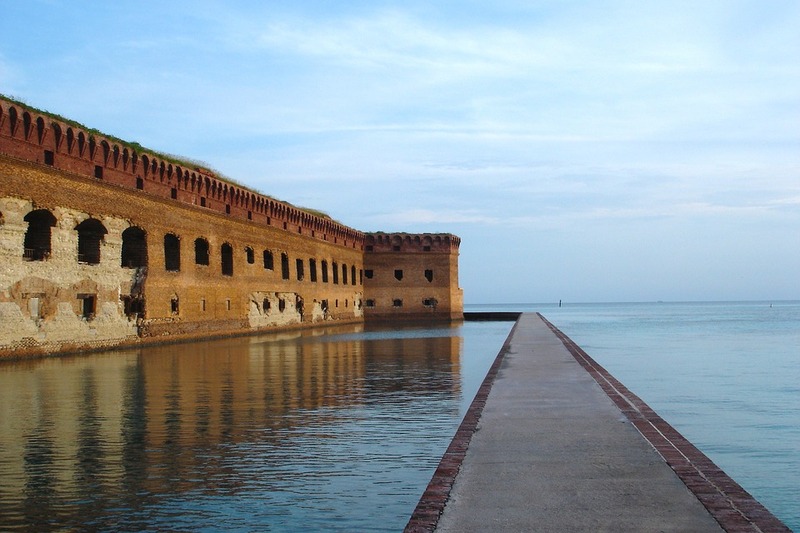 The park is known for being the home of Fort Jefferson, an old fort that sits in the beautiful blue water of Garden Key. This same island is where you can camp! The camping space here is limited, with only 10 sites, but you are able to reserve in advance. That being said, the park claims that if you show up with a tent they’ll find a place for you to camp. Sounds like an awesome guarantee to me! I love spending the night at sites where only primitive camping is allowed and that’s the case at Dry Tortugas. So jump on the park ferry and head over to Garden Key to pop that tent. Everglades is amazing for countless reasons. It may be the endless miles of waterways, amazing wildlife or super cool camping opportunities. 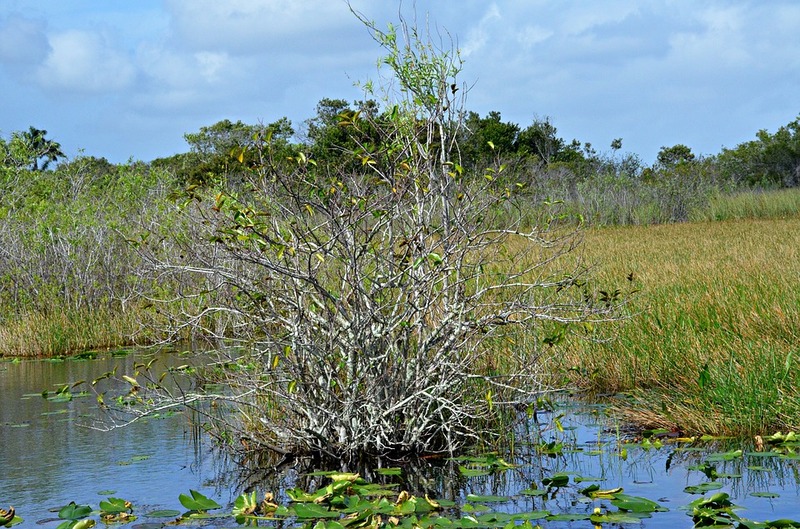 Everglades has something for everyone, especially the more adventurous campers. Unlike the other Florida National Parks, Everglades offers the typical camping sites, as well as many back country sites. For those looking for a back country adventure, you’re in for a treat. Most sites are only accessible via kayak, canoe or motorboat. That’s cool. All these spots have to be reserved in advance as they require a backcountry permit (don’t worry, it’s not expensive), and there’s no better way to experience the wondrous nature of the Everglades. When planning your stay, be aware of the wet months (June-November), or just go for it and embrace the wet season in the wetlands. Where there’s beaches, there’s camping, and Florida has plenty of beaches. From the northwest corner down to the keys, Florida’s beaches are the perfect destination for your next camping trip. Hangout on the sandbars of Fort De Soto Beach Park and camp in the sand of its shores. 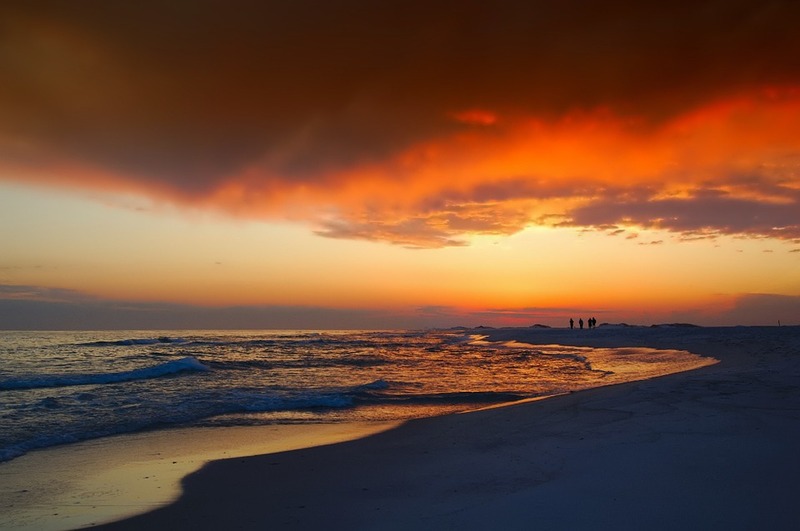 Located near St. Petersburg and Clearwater, Florida, this park is praised as one of America’s most beautiful beaches. 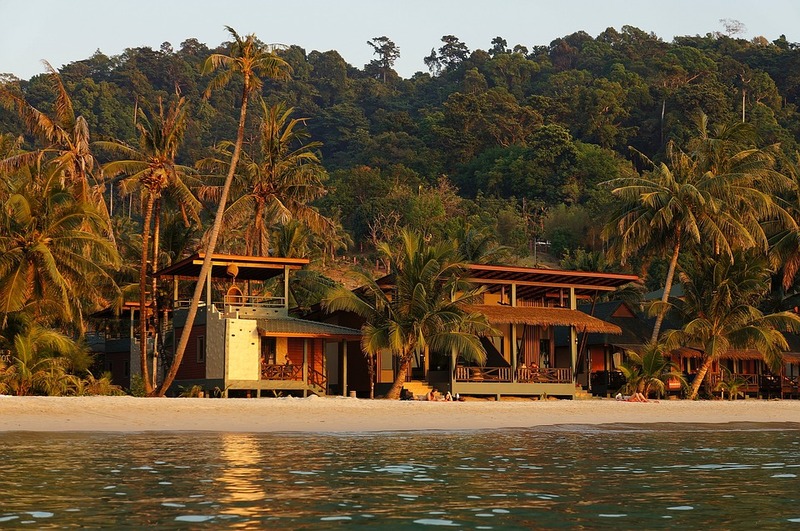 You’ll be able to confirm that firsthand when you spend a night sleeping in the soft sand. If you want a beach with a view, then take a trip to Bahia Honda State Park on Big Pine Key where the blue water and historic bridge are the perfect scenery to wake up to every morning. Make sure you don’t forget your fishing pole and snorkel gear! Craving a little more space? Drive west of Orlando to Canaveral National Seashore and camp on the 24 miles of undeveloped Atlantic Ocean beach. The two campgrounds are small, so you won’t be fighting crowds for space and the use of facilities. Most importantly, you can spend your days claiming your own part of the beach. Whoa! This is super cool. Camping in caverns? Yes please! Maybe you don’t know a stalactite from a stalagmite, but you will once you spend the night in the caves of Florida Caverns State Park. While there are a number of caverns throughout the state, this State Park has the only open air caverns that are accessible to the public. But wait! There’s more! 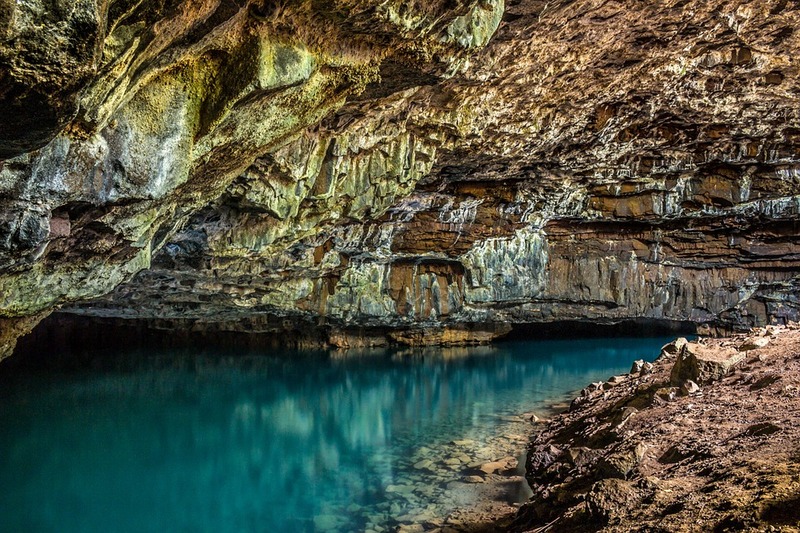 This site also has access to great canoeing, hiking and guided tours of the cavern. I love this camping option as it’s different from the traditional campsites I’ve frequented. Wetlands are awesome, even beaches are amazing, but caverns?! This is an experience you’ll never forget. Grab your headlamp and long sleeves for a weekend getaway you will never forget. Maybe you’re looking for a more magical experience? Well, no worries. Disney has you covered! That’s right. You can campout at Walt Disney World. 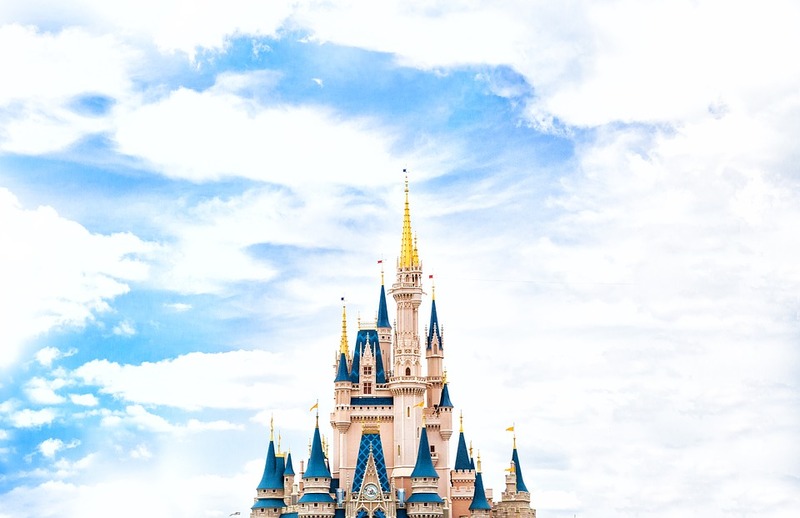 For the individuals, couples and families that want to hang with the mouse while enjoying the nature of Florida, the campsites of Disney’s Fort Wilderness Resort are waiting for you. This is a different experience on so many levels. It is neither the typical camping experience nor the typical Disney experience. It’s kind of a wonderful in-between. For a fraction of the price of other Disney hotels and locations, you can set up your tent on one of the many sites that fit up to 2 tents. The campgrounds are tucked away in the 750 acre pine and cypress forest that brings the magic of camping and Disney together. Any camping lover knows the joy of shopping for new camping gear, so now is the time!! When camping in the wild, it is always better to be over-prepared. That may mean buying a couple extra snacks or investing in the tent cover you know will keep you dry. You’ll be patting yourself on the back when your tent doesn’t blow over thanks to those heavy duty stakes. Investing in your gear is investing in your camping experience when you’re tent camping in Florida.